Built for IT Admins. By IT Admins. 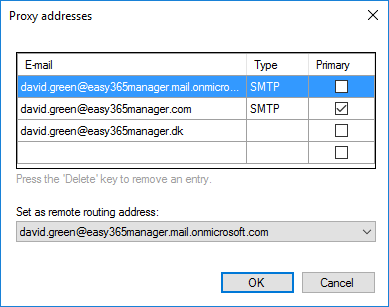 For IT admins managing Office 365, Easy365Manager provides flexible user, mailbox and license management directly from the Active Directory Users & Computers tool without the hassle of using Exchange Hybrid, Powershell scripting or the Office 365 Admin portal. Easy365Manager is built for IT Admins to simplify daily Office 365 tasks, without the hassle of using Powershell or the Office 365 Portal. 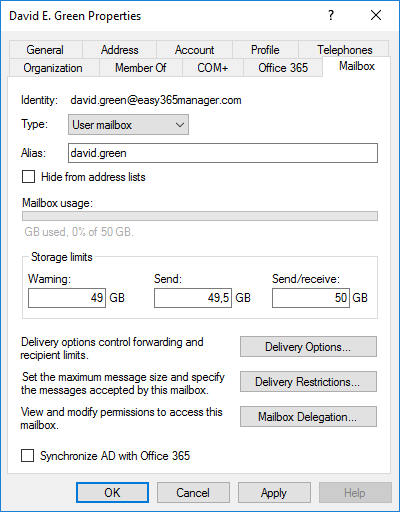 Easy365Manager supports hybrid Office 365 environments, including Azure AD Connect, DirSync, ADFS and Exchange Hybrid. 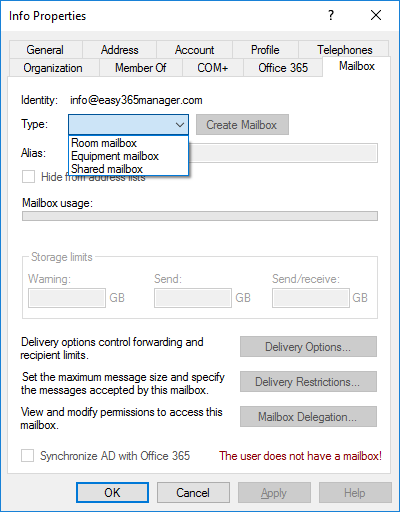 Manage Office 365 licenses, change mailbox type, perform mailbox delegation and much more! Check out our complete list of features. 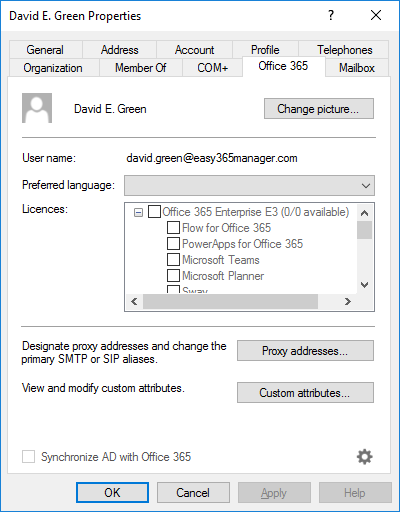 Easy365Manager integrates with the standard Active Directory user properties tabs providing a familiar user interface. All prices quoted on the website are in EURO excluding VAT. Errors and omissions excepted. Try it before you buy it! Download and install the fully functional version of Easy365Manager and use it for 14 days. Enjoy our free support by mail and phone and experience the ease of doing Office 365 management inside good old Active Directory Users & Computers. We are sure you will never want to look back!